Aiming to further its speciality blacks business and bag a greater pie from exports, Phillips Carbon Black (PCBL) is planning to put up a research and development facility in Europe which will engage in coming up with innovative products and uses of carbon black other than quality improvement to meet several compliances across the globe. “We are looking at Europe to set up a research and development facility there. It will not only help us to improve our value added and specialty black portfolio by means of cutting edge research and technology, but it will also help us to diversify our products," Sanjiv Goenka, chairman of the RP-Sanjiv Goenka Group, said. 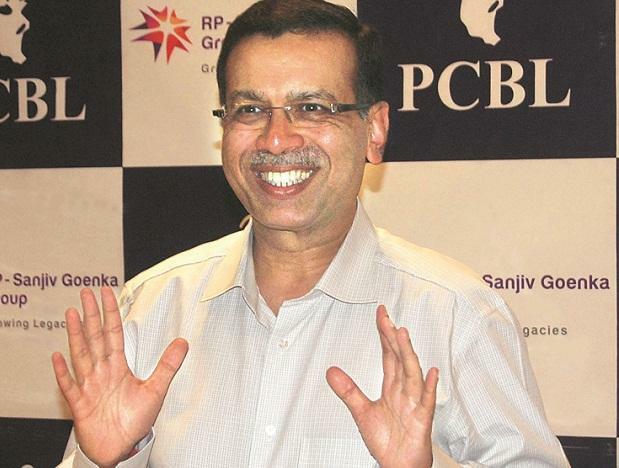 PCBL is a group company of the RP-Sanjiv Goenka Group. The location, size of this facility and the investment needed hasn’t been finalized yet but Goenka expects some positive development on this front in the second quarter of the coming fiscal year. Although the common carbon black, one of the key ingredients to make tyres, has been driving sales volume for the company, speciality and value added blacks - comprising newsprint, plastic products and other specialized items - has been driving PCBL’s profitability. In the third quarter of the current fiscal year, backed by improved efficiency at its plants and greater focus on speciality blacks, PCBL posted a 92 per cent increase in its net profit at Rs. 108 crore backed by a 54 per cent increase in its topline at Rs 950 crore. Goenka said this is the first instance in the company’s history when PCBL, India’s largest carbon black company, has been able to cross Rs 100 crore mark in profitability in any fiscal quarter. Currently, specialty and value added black comprises 7-8 per cent of the company’s sales volume although its contribution to revenue is much higher and Goenka expects it to nearly double in the next two years. On the other hand, PCBL has also been focusing on the exports front with specialty blacks although traditionally, it has been a common black exporter for the global tyre industry. He feels that greater focus on quality improvement and specialty black may give the company a better bargaining power to improve sales and margins from exports. Revenues from exports presently comprise of 25 per cent of the firm’s annual turnover. “Hence, we have decided to opt for a European presence in terms of research and development of the existing as well as upcoming products”, he said. PCBL currently has such an RnD centre in its Palej plant in Gujarat which focuses on market driven innovation to add value to PCBL’s product portfolio road map, explore technologies which lead to competitive advantages, unlock hidden values of products and innovations in new sectors and come up with customer solutions based on individual needs. Besides, it is also engaged in the company’s intellectual property protection rights. This RnD centre is primarily engaged in innovations on rubber, plastics and ink applications. “But we need to have an international presence if we are getting serious on the specialty blacks front”, Goenka said when asked about the need for an international centre. However, in the near-term, the company will be limiting its international presence to RnD and not manufacturing facilities. PCBL marked its first international foray back in 2007 when it signed an agreement with the Vietnamese Vietnam National Chemical Corporation to set up a plant there. However, after a decade, PCBL lost interest in the Vietnam project and plans to start operations were put on hold. Instead, it has been focussing on strengthening its production capability in India and is expanding the Mundra and Palej plants where it is investing Rs. 350 crore. It is also on the lookout to set up a greenfield project either in Tamil Nadu or Telengana at an estimated investment of Rs. 600 crore. Expansion of these plants and commissioning on the new one will increase its production capacity by 49 per cent from the current 0.47 million tonnes (mt) to 0.70 mt in the next two years.